Most test strips are in stock. If we run out or don't have quantity needed, it will take 2 weeks to restock. 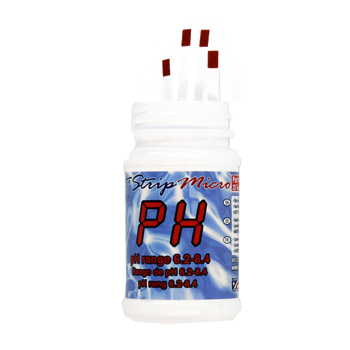 Q: What's the difference between testing water with regular test strips, and eXact Micro 7+ strips using a photometer? A: eXact iDip, Micro 7+ , Micro 10 or Micro 20 Photometer will display exact quantitative measurements (for instance an exact number in ppm, mg/L, such as "20 parts per million"). When you test water with a regular test strip, you receive a qualitative result, which is a range (for instance, "between 10 and 25 parts per million"). Q: What's the difference between all DPD-1 tests, such as Free Chlorine and Bromine? All DPD-1 tests use identical reagent and therefore have the same product number. 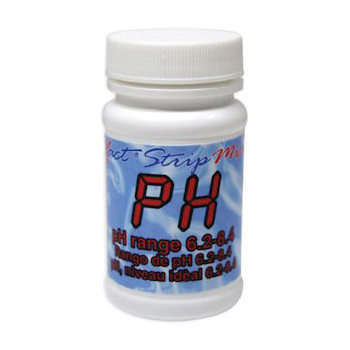 We stock and ship Free Chlorine DPD-1, but you can use the same strips for other DPD-1 tests such as Bromine, Iodine and Permanganate, just select appropriate test on the Photometer. The same applies to DPD-3 and DPD-4 tests (for example, Ozone and Total Chlorine DPD-4).